One of the most important relationships we’ve fostered over the years is with photographer and videographer Wendell Wagner. In addition to shooting many of Rivers Agency’s campaigns, Wendell and Tri Group Studios captured the stunning images you see on the pages of Capel’s 2012 catalog we designed and produced. The studio totally gets Capel’s aesthetic, and the open, collaborative relationship with photographer, stylist and our own creative team is a creative triple threat. 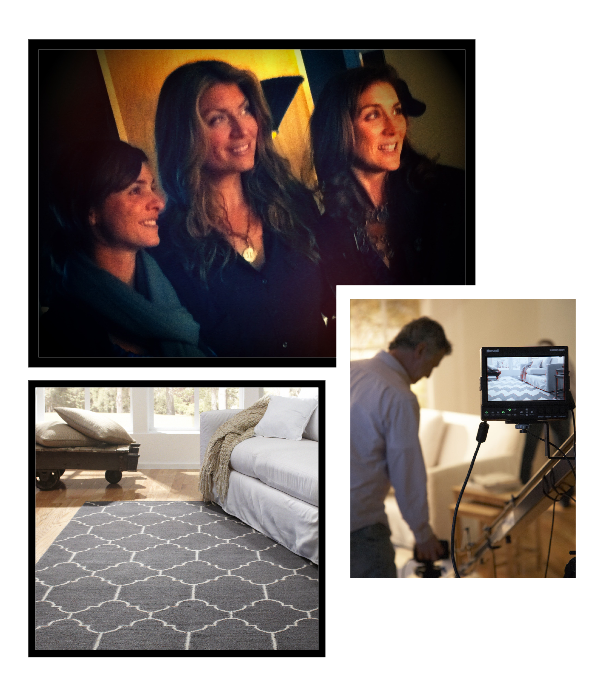 Most recently, we’re loving the time we spent with studio, Capel and HGTV designer Genevieve Gorder during an impromptu video shoot last Sunday night. The relationship between Capel and Gorder is huge in the area rug industry, and Genevieve’s new rug collection for the company is a bold breath of fresh air. As graphic designers, we love the way Genevieve makes an old pattern seem new again. And, during the shoot, Genevieve wasn’t just a true professional overflowing with ideas – she was fun! Check out a few behind-the-scenes snaps and check back soon for the video interview we’re producing about Genevieve and her cool creations for Capel. I have seen your catalogs and they are really, really nice. Cool. TriGroup has been honored to be a part of the Rivers/Capel team. Working with professionals in what they do makes our portion of the project that much more meaningful and rewarding….It was very exciting to work with Genevieve on this shoot….she along with the Rivers and Capel team made if FUN!